Radio amateur Dave Honess M6DNT is interviewed in the popular Raspberry Pi magazine MagPi about “Taking Education to the Stars”. The article, on pages 84/85 of issue 75 November 2018 MagPi, covers the educational role of the two Astro Pi units on the International Space Station. Cornwall Live reports that radio amateur David Honess M6DNT has been awarded a prestigious space achievement honour for his Astro Pi work with the Tim Peake GB1SS Principia mission. David Honess M6DNT was presented with a Sir Arthur Clarke Award, on behalf of the Arthur C. Clarke Foundation and the British Interplanetary Society, for Space Achievement – Industry/Project Individual. This came after Mr Honess and his Astro Pi project which installed two Raspberry Pi’s (Izzy and Ed) on to the International Space Station as the platform for students to run their own code in space and speak with Major Tim Peake GB1SS. 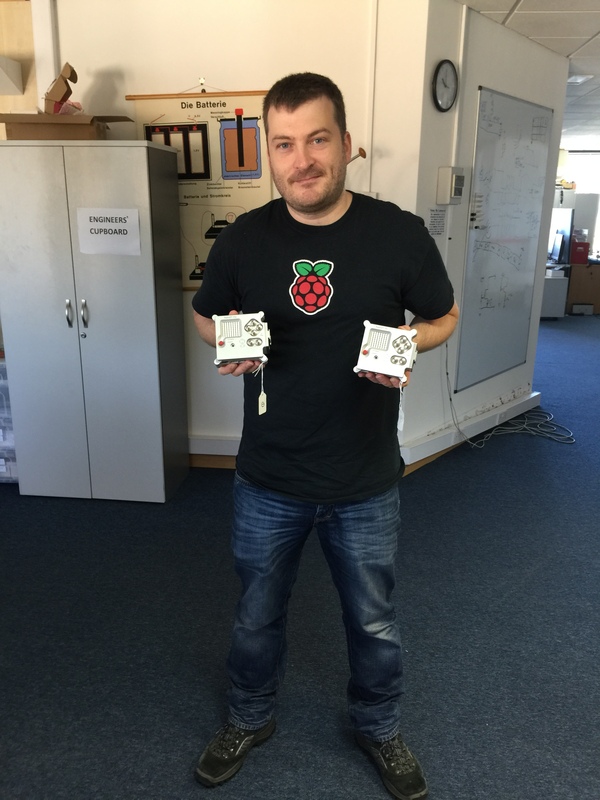 Mr Honess has been “the driving force” behind getting two UK designed and manufactured Astro Pi computers onto the International Space Station to provide a unique facility to inspire children and adults to learn to code. 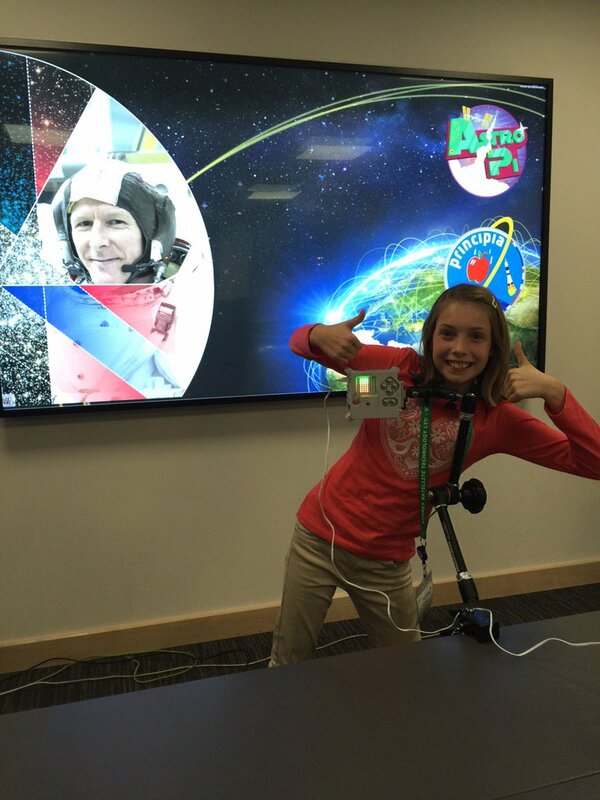 Competition winner Hannah Belshaw with the Astro Pi flight unit. Hannah’s entry logs data from the Astro Pi sensors, and visualises it later using structures in a Minecraft world. 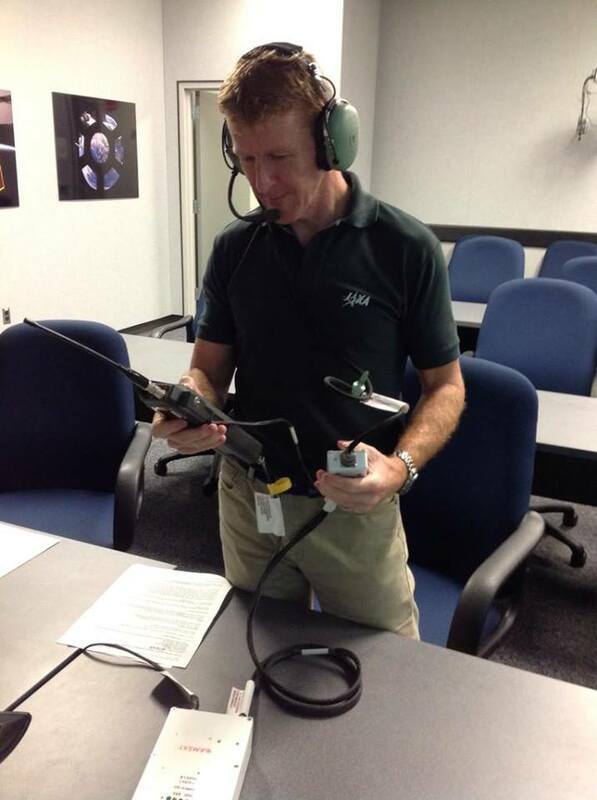 AMSAT-UK members are leading on the Amateur Radio on the ISS (ARISS) Schools contacts programme for the upcoming Tim Peake Principia mission to the ISS. A number of high profile school contacts are planned to be carried out and this activity is being coordinated with the UK Space Agency as part of the overall Principia Educational Outreach programme. Two specially augmented Raspberry Pi’s called Astro Pi‘s are planned to fly on an Orbital Sciences’ Cygnus cargo freighter to the ISS in early December. They will be used by UK astronaut Tim Peake KG5BVI during his Principia mission on the Space Station which is expected to commence in mid-December. The Astro Pi’s are planned to run experimental Python programs written by young people in schools across the country; the results will be returned back to Earth at the end of the mission. ARISS/AMSAT-UK members are actively involved in discussions with the UK Space Agency, ESA, the Raspberry Pi Foundation and others to establish the feasibility of re-purposing one of the Astro Pi units, either within or post Tim Peake’s mission, to provide an alternative video source for the amateur radio HamTV transmitter in the ISS Columbus module. Additional discussions are ongoing with all parties for joint educational activities into the future with the Astro Pi units being networked and potentially enhancing the capability of the amateur radio station on board Columbus. The main mission of HamTV is to perform contacts between the astronauts on the ISS and school students, not only by voice as now, but also by unidirectional video from the ISS to the ground. ARISS has been working with Goonhilly and hope to provide a video download facility via one of their large dishes for the schools contacts as well as attempting to receive the video at each school as part of the contact. 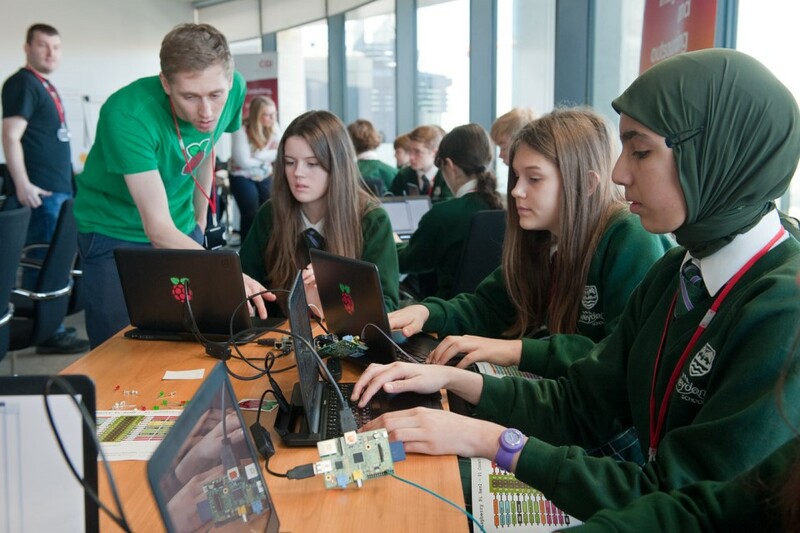 Two specially augmented Raspberry Pi’s called Astro Pi‘s were planned to fly with UK astronaut Tim Peake KG5BVI to the International Space Station (ISS) on December 15. On the ISS the Astro Pi’s are planned to run experimental Python programs written by school-age students; the results will be downloaded back to Earth and made available online for all to see. It is hoped that subsequently one of them will be used to provide a video source for the amateur radio HamTV transmitter in the ISS Columbus module. It appears the amount of cargo on Tim’s Soyuz flight was overbooked so the Astro Pi’s will instead fly to the ISS on an Orbital Sciences’ Cygnus cargo freighter. The launch is currently planned for December 3 at 22:48 UT.